All rolled up into one Buyer Services Package, the benefits and peace of mind you’ll receive from this home purchasing service is worth thousands of dollars. And you get this service FREE as our valued Home Buyer. By understanding your wants, needs and timeline, I can suggest your best plan of action. You will be delighted knowing I have a team that is ready to help you secure the best home in the areas of Spruce Grove, Stony Plain, Parkland County or Edmonton at the price and terms that are suitable to your budget. Upon request we will suggest a lender that would be most suitable for your needs. Working with our lenders will guarantee that you search for and find a home in the price range that is best for you. You get full access to our private on-line network of properties that fall in your price range. We notify you as new listings become available. You can access properties on-line at the same time we, as REALTORS® do. Together we will select the right homes to view at a time that is most convenient for all. When there are changes to your search criteria or changes to one of the listings, you receive immediate e-mail notification. A member of our team can show you the homes as soon as they come on to the market. Once you find the right home and make the decision to purchase it, you’ll want to move quickly. With our help, your offer is written on your terms. With professional guidance, your offer is correct and all conditions you require are included. If you need it, you will get the time to consult with banks, appraisers, building inspectors, and family -- without pressure. With these conditions written in for your protection, you can move quickly and confidently to secure the home you desire. Most people list their homes expecting to negotiate. Usually room for negotiation is available. Knowing a property’s selling time on the market and neighborhood prices is valuable when negotiating. Our experts assist you through the entire buyer experience making sure you have all the information at hand to make the right decisions. You get the best purchase price for your new home. Always make sure that what you think you are buying is indeed the property you are buying. As odd as this sounds, feeling comfortable with your purchase is a vital part of the home buying experience. Feeling comfortable has to do with securing the right financing. The right financing can save you thousands of dollars over the life of your mortgage. The other factor contributing to your comfort is hiring a professional home inspector. Having the right professional is the way to gain peace of mind and guard your pocket book. A proper inspection will cover all areas of the house both structurally and mechanically and give you an objective view of the property. A qualified home inspector will provide you with a written report indicating areas of concern and the estimated cost of repair. Financing and inspection are just a part of the Buyer Services we offer. Through our strategic alliances, we offer you reliable and professional contacts with lawyers, movers, mortgage brokers, appraisers, builders, and other skilled experts to help you find and secure the new property for your family. 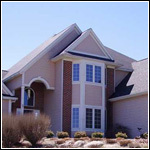 As part of your transition into a new home, our team will coordinate all required services. That makes your part a whole lot easier. Transform Your Home Buying Experience Into Satisfaction With Little To No Work On Your Part … And Best Of All, It’s FREE. Call Barry today for your FREE consultation.